Gain the graphic design skills that will make all of your printed messages get the attention — and the results — you want! Good design doesn't just happen... you need graphic design training seminars! It takes special skills to assemble the headlines, text and graphics of a printed page so they catch a reader's eye and elicit the response you want. Once you learn these basic design skills, you can apply them any time you need to communicate ideas on paper swiftly, clearly and effectively. This program helps "desktop publishers" of every level understand and practice the fundamentals of effective graphic design. Are you in charge of "making it look good"? This training gives you the essential design principles you need. 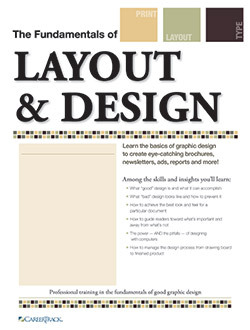 You'll learn the skills that can move your layout and design talents into a whole different league. Once you learn and use your new skills, you'll see your publications take on a fresh and exciting look that people will notice and want to read. Newsletters, ads, press releases, even number-heavy reports and proposals — all of them will benefit from the know-how you gain from this skill-packed course. The course content is built around topics with the greatest payback for graphic design novices. It doesn't waste your time on ideas and techniques you'll seldom use or need. There's not a computer in sight (they just slow things down and detract from the learning), and what you learn applies to virtually any desktop publishing system. You don't have to take volumes of notes (each participant receives a course manual that captures the key points). You get involved — examples, overheads, audience participation and hands-on exercises drive home important principles. You'll put the skills and insights you learn to work immediately, on your own computer, with your own documents… and at your own pace. But most important, you'll like this workshop because you'll see your work get better and better with every document you design. You'll see how to add interest and drama to the dullest of topics. You'll learn to guide your readers where you want them to go. You'll discover how to hit the visual hot buttons that give you the reader reaction you're hoping for. Plus, you'll learn the nitty-gritty that other courses tend to ignore like how to talk the lingo of printers, paper suppliers and prepress technicians. How to Make Your Type "Talk"
You've been charged with creating newsletters, ads, reports, press releases and the like — but lack formal training. Document design has always been a part of your job — but every piece you produce ends up looking the same as the others. 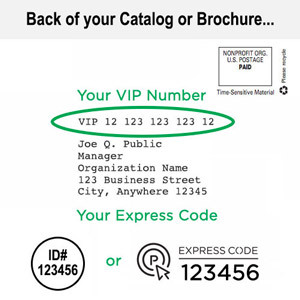 You want your printed materials to reflect a more upbeat, professional image for your organization. Your people look to you for graphic guidance — but you're sometimes as unsure as they are. As a desktop publisher, you're good at using your hardware and software — now you only need help with design. In one fast-paced class, you'll learn to captivate attention and convey any message with speed, impact and clarity. Don't miss this opportunity to take your design skills to the next level — and give all your printed pieces a more polished, professional look.